A Brexit report by the European Audiovisual Observatory, part of the Council of Europe in Strasbourg, provides a European-eye view of the UK’s weight within the EU’s audiovisual markets. 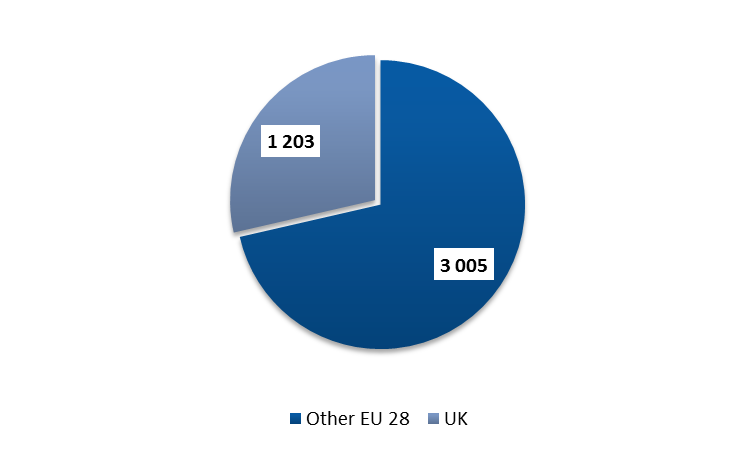 It provides key figures on the co-productions between the UK and other EU28 countries, the import and export of films between the UK and the other EU28 countries as well as data on the circulation of audiovisual services between the UK and the European Union. A. 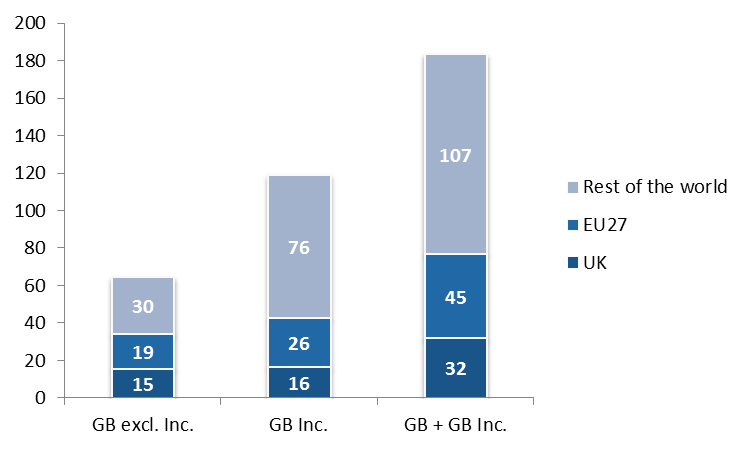 The UK is, together with Germany, the largest audiovisual market in the EU28. 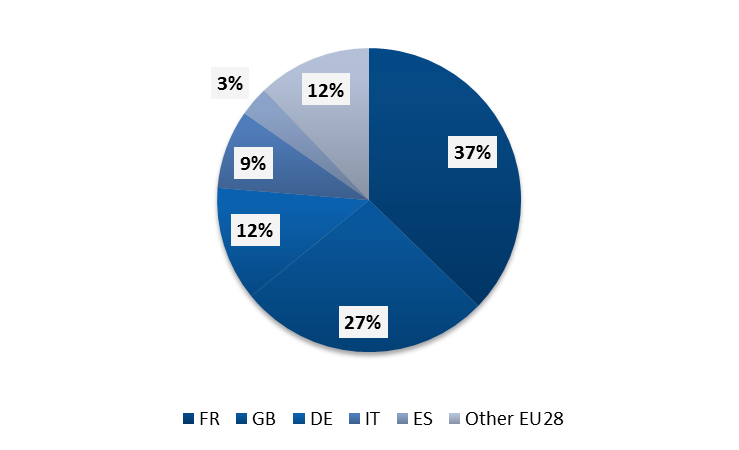 With 12 per cent of TV households, the UK accounts for 21 per cent of the EU28 audiovisual market. The UK market is slightly more dynamic, on average, than the EU28 as a whole, due to the solid performance of pay-tv and also because the UK is the most-developed EU28 market by far for on-demand services. Indeed, the average annual growth rate between 2011 and 2016 was 2.1 per cent for the UK vs. 1.7 per cent for the EU28. The UK ranks No. 4 in terms of number of TV fiction hours produced, underpinned by a focus on high-end drama with a strong export potential. 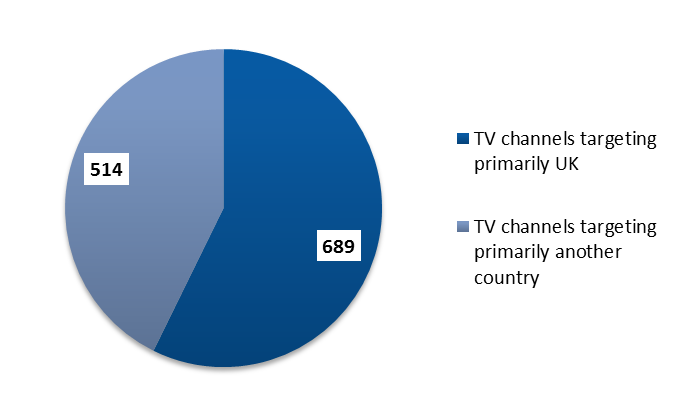 43 per cent of the TV channels established in the UK target primarily another country. EU27 countries account for 29 per cent (excluding GB Inc.) and 24.5 per cent (including GB Inc.) of UK films’ worldwide admissions. The UK is a key player in the European film sector. Thanks in particular to a strong domestic cinema market, it produces 16 per cent of all EU28 films, excluding blockbusters films fully-funded by US majors through their UK subsidiaries.